KRASNODAR, March 22. /TASS/. 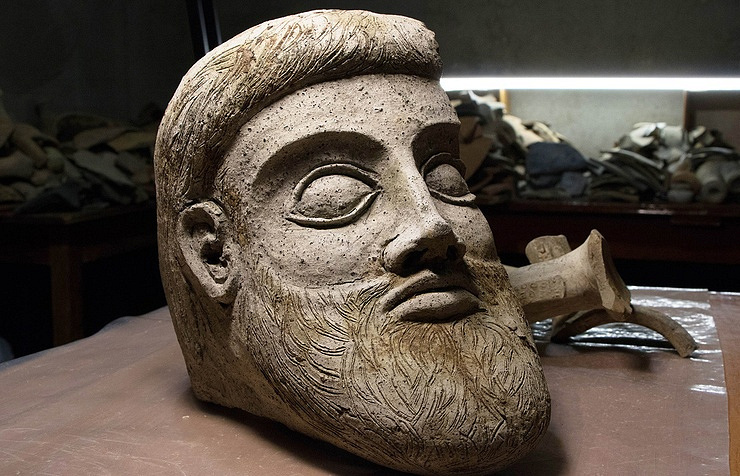 A part of a unique terracotta statue has been found at the Crimean bridge construction site during underwater diggings near the Ak-Burun Cape, Sergei Olkhovsky, head of the underwater unit of Russia’s Academy of Sciences, said on Wednesday. The Crimea Bridge information Center elaborated that for more than 2,000 years, the Ak Burun Cape area of the Kerch Bay had served as the main shipping conduit and base on the trade route connecting the Mediterranean Sea and the Sea of Azov. Some of the transported ceramics were thrown into the sea after being damaged, so large deposits of ceramic objects made in various historic periods were formed near the local piers. A significant volume of sediments containing ceramics were later swept by the sea’s currents to shallow areas of the Ak-Burun Cape thus forming a build-up of ceramic fragments that experts have been closely examining after the construction of the Crimea Bridge had begun.